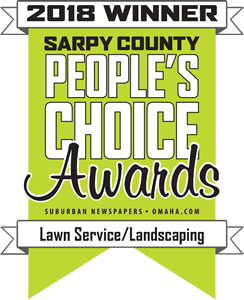 At H & H Lawn & Landscape, we are committed to providing each and every piece of a beautiful landscape for your Omaha area home. One often-overlooked part of that landscape is mulch, which can be a great addition to any property. Add mulch to your Omaha home’s flowerbeds to help make your property look even better than before. Mulch will help ensure your flowers and plants are able to retain moisture and heat in their roots throughout the year, ensuring healthy green plants. We can also bring in dyed mulch to match your home’s paint or siding color, accentuating your home’s color scheme and helping your Omaha home and landscape reach its own unique potential. Needing mulch but want to install it yourself? Our crews can handle any amount of mulch needed. Whether you’re a commercial business or consumer that wants to make sure your landscaping looks its best. Contact us today to order your mulch delivery or schedule your mulch install. H&H Lawn and Landscape offers not only mulch delivery but also full install. Our crews can handle any amount of mulch needed. Whether you’re a commercial business or consumer that wants to make sure your landscaping looks its best. Contact us today to order your mulch delivery or schedule your mulch install.